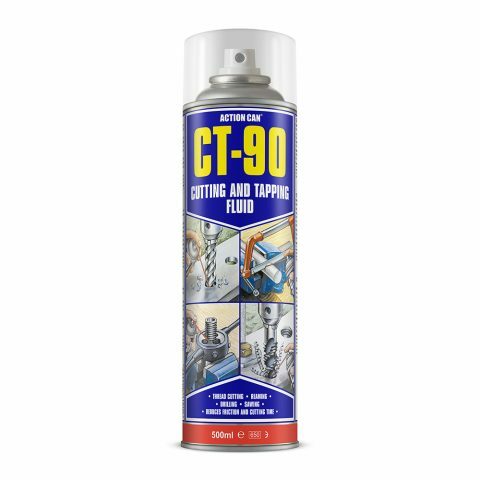 CT-90, the ultimate 4-in-1 versatile cutting lubricant makes metal working easier when cutting, tapping, drilling and reaming. High-performance metal cutting lubricant for use on all tough metals including stainless steel. Specially formulated with excellent extreme-pressure (EP), additives reducing friction and keeping the workpiece at a stable temperature to prevent seizing. Dissipates heat, reducing cutting time, swarf build-up, metal scrap and downtime. Protects and extends the life of the tool.